Save SAR 39 (97.50%) – Earn 0 Shukrans What is Shukran? Shukran is the Landmark Group’s award-winning loyalty programme in the Middle East, which allows you to earn Shukrans when you shop any of our brands. 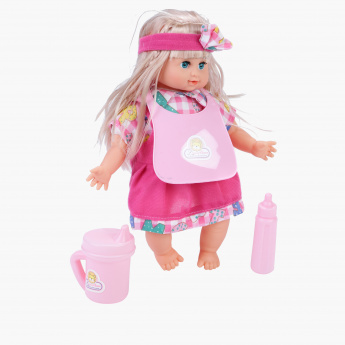 Styled to give out different sounds, this doll will be a great companion to your little one. 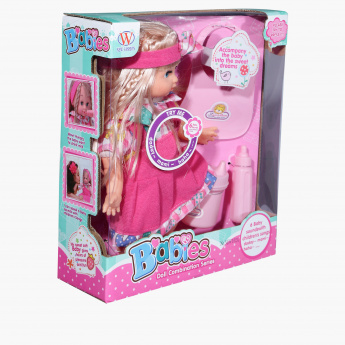 It comes with a milk bottle to comfortably feed her when hungry, and is quite interactive to keep your girl engaged.